Deals in supplying of roofing sheets, fiber roofing sheets, fiberglass roofing sheets, corrugated roofing sheets, light transmission FRP roofing sheets and decorative plastic roofing sheets. Size- Any, as per customer requirement. : Design Pattern- Any, as per customer requirement. We offer Fibre Roofing Sheet to our clients. 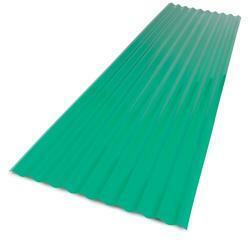 With enriched industrial knowledge, we have been able to offer a wide spectrum of Fibre Roofing Sheet. Matching up with the requirements of our clients, we are involved in offering Roofing Fibre Sheet. We are involved in manufacturing and trading of Fiber Sheets Roofing, that are acclaimed for light weight, sturdy construction, wet resistant and anti-heat properties. 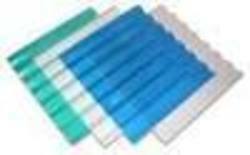 Our sheets are available in multiple sizes to cater the diverse needs of the Industries. Furthermore, we also design and make sheets in customized specifications.